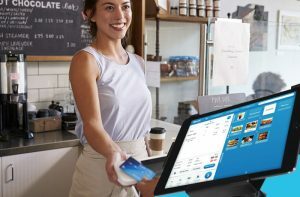 Our EPS Point-of-Sale (POS) solutions are easy to use, with a simple and intuitive user interface that makes it easy for you to train new employees AND keep your customers happy. When it comes to getting your customers checked out quickly, providing excellent customer service, and handling payments efficiently, there is no better partner for your business than EPS. Backed by our award-winning, US-based customer service team, ready to take your call 24/7/365, a Point-of-Sale solution from EPS will make it easier for you to do business. Best of all, when you switch to a Point-of-Sale System from EPS, we will meet your current credit card rates (and maybe beat them!). As a full service merchant services provider, you can use one of our services or several of them. We’ll work together to make sure you have the best solution for your business, the best rates we can provide, and the best customer service available. That’s what we do.